The Puerto Vallarta region is actually several destinations rolled into one, each with its own character and charm. The River Cuale divides the town into north and south. On the southern end is the quaint Romantic Zone where Playa Los Muertos attracts sun worshippers to its golden sand and countless beach bars. Further south, the seaside villages of Boca de Tomatlan and Mismaloya where The Night of the Iguana was filmed beckon. North of the river, the Old Town meanders uphill to Gringo Gulch and along the bay where you’ll find the Plaza de Armas (main square) and Los Arcos amphitheatre where daily free performances draw crowds. Puerto Vallarta’s renowned Malecón (seaside promenade) runs from the Romantic Zone to the start of the Hotel Zone. Here you’ll find a collection of sculptures, including the town’s iconic seahorse. More than 3.7 million visitors flock to Puerto Vallarta each year. Many American and Canadian snowbirds make it their home-away-from home, winter after winter. 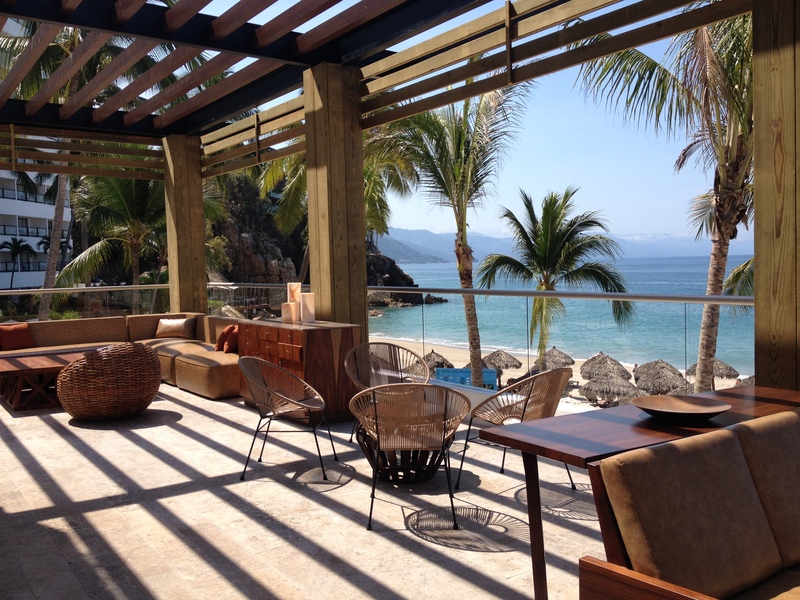 Several become so smitten with Vallarta’s ideal climate, they invest in real estate and businesses here. Puerto Vallarta enjoys a tropical climate and during the sunny dry season, from November to May, daytime temperatures hover at 27˚ to 30˚ C (80˚ to 85˚F) with virtually no rain. At night, the temperature drops to 16˚ to 18˚ C (55˚ to 65˚F), which is ideal for sleeping, but you may want to pack a shawl or light jacket. The hotter, humid rainy season lasts from June to October. Sharing the same latitude as the Hawaiian Islands, Puerto Vallarta sits in the middle of the Bay of Banderas, Mexico’s largest bay, measuring 42 km (26 miles) from tip to tip. North of the city of Puerto Vallarta, the Ameca River forms a natural boundary between Jalisco and the state of Nayarit where newer resorts and developments form the Riviera Nayarit. Once you get away from the beach, Puerto Vallarta’s hilly cobblestone streets merge into the green foothills of the Sierra Madre Mountains. The Cuale River, which divides Puerto Vallarta in half, flows down from the mountains and empties into the Pacific. Today, Puerto Vallarta reigns as one of Mexico’s most popular destinations because of its great diversity and almost perfect climate. Along with golden beaches, mountains and jungles you’ll discover modern amenities and creature comforts. 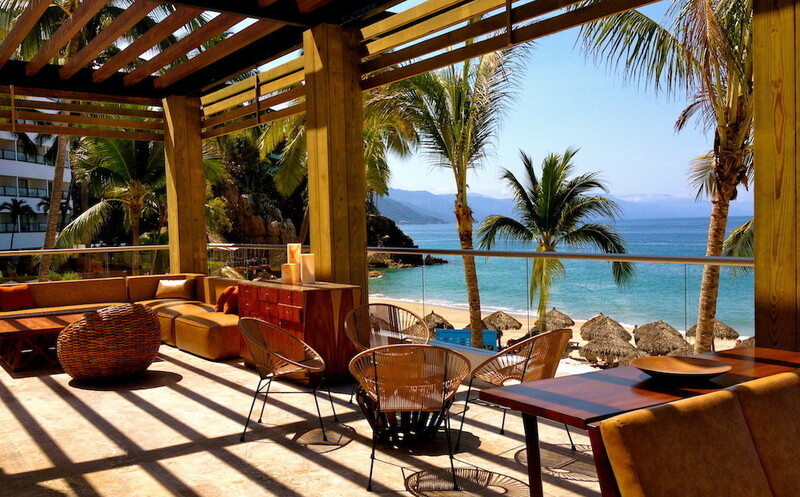 In short, Puerto Vallarta is a very simpatico and affordable paradise that will appeal to just about everyone.